In any type of living spaces furniture is important. Whether it is made from wood, metal or other material, furniture is required to accommodate human needs and activities. Home living furniture is made in wide ranges of style and design. Many of them are made in purpose to particular home design or special activities as well. It is like chair that is used in many human activities, in the house, at office even on the garden in public spaces. Chair is intended to provide comfort and support us. There are living room couch, reading corner sofa, wooden bench, teak folding chair and many other name to a chair used. Because of limited land problem, practical and simple design of furniture is a need in the present modern word. As a result, furniture in simple and modern design is preferably by most people. In the other hand, this style of furniture allows combining with any kind style of decoration whether it is ethnic, modern or minimalist. Furniture development brings us many brilliant invention of furniture also. One of them is teak folding chair. Teak garden outdoor folding chair can be stored easily. It is because the chair can be folded when stored and easily unfolded to use them. Teak folding chair one of which is designed with the aspect of practicality, ergonomic either strength. 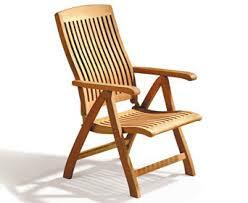 Teak folding chair, however, can be arranged in rows when folded. 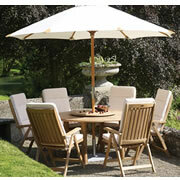 Furnindos’s collections of teak folding chair provide comfort for the customers especially for outdoors.